I first came across Amanda James when I read Summer in Tintagel so when I saw that she had a new book coming out I didn't hesitate to snap one up. 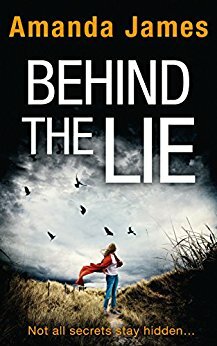 Behind the Lie is a gripping psychological thriller that you think you have worked out but will still manage to surprise you. Holly seems grateful to be married to successful surgeon, Simon. Holly was a successful model but found herself entangled in a life of drugs only to be rescued by Simon when he decided to marry her. Now that Holly is pregnant with twins, they appear to have the perfect marriage, but appearances can be so VERY deceptive. Simon has a gambling problem and sneaks out of the house when Holly is asleep. As he gambles more he quickly becomes out of control and bets more than his house. When Holly goes into labour she is eager to meet her children, only to be told that her son didn't make it. Holly is sure that she heard a cry in the delivery room other than the one uttered by her daughter, Iona, but in the stress of the situation she must have been mistaken. Or was she? When she receives an anonymous letter that claims her son, Ruan, is alive she doesn't know who to turn to. Everyone will think she is mad and she might lose her daughter. So she turns to her ex-boyfriend and former serviceman, Jowan, to help her uncover the truth. 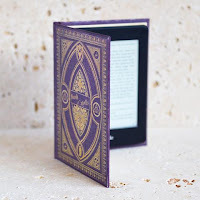 I think we are programmed to look for the shock element in books these days, so some people might find Behind the Lie slightly predictable, but I loved the interaction between all of the characters and the depths that they will stoop to in order to save their own skin. Amanda James always seems to create three-dimensional characters so that you can peel layer after layer away like an onion. It was certainly a fast-paced read that had me on the edge of my seat, purely because I cared about the characters rather than expecting a big reveal at the end. I sometimes found Holly a bit emotionless when she referred to her son as 'my boy' and her husband's mistress as 'his woman' but that was just my preference. Another top-notch read by Amanda James, I'd certainly recommend Behind the Lie to anyone who likes a bit more meat on the bones of their psychological thriller.